Liverpool defender Joe Gomez has suffered a fracture to his leg and is likely to miss at least six weeks of action, the club have confirmed. As reported on their official website, the young centre-back was injured during their 3-1 win over Burnley on Wednesday and underwent tests on the problem on Thursday. Those scans revealed a fracture to his lower left leg which is now set to sideline the 21-year-old mainstay for six weeks in a massive blow for the club, although his actual recovery period may vary. This is a huge, huge blow for Liverpool. Gomez’s contributions this season cannot be understated, with the youngster putting in exceptional display after exceptional display alongside Virgil van Dijk in defence. 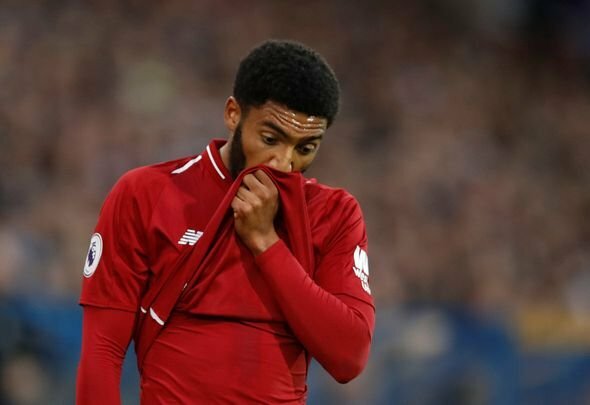 Gomez has been dogged by injury problems throughout his time at Anfield, but it really did look like the worst was behind him before this latest setback. The 21-year-old was a surprise starter on Wednesday against the Clarets, with Jurgen Klopp deciding to rest Trent Alexander-Arnold instead and play Gomez at right-back. That decision ended up backfiring after this injury blow, and many fans will no doubt be quick to lay the blame at Klopp’s feet. However, there is no way he could have foreseen such an impact injury, with the problem far removed from being down to wear and tear. The best that the Reds can now hope for is a quick recovery for Gomez, who will hopefully be back for mid-January.